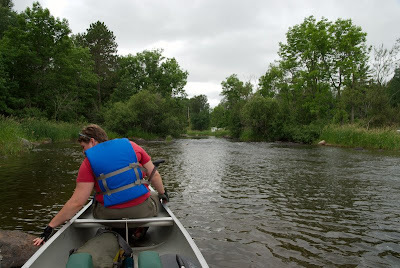 On the 2nd, the wind wasn't quite so bad, so Erin and I went for a paddle right from Timber Trail. 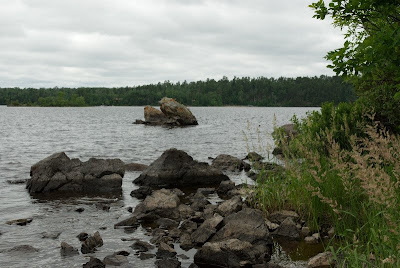 The goal was to paddle across Farm Lake and Garden Lake, portage to Fall Lake, and then paddle up the Shagawa River to Shagawa Lake, showing that we could make it from our cabin to Ely town by canoe, and return home. I estimated the paddle beforehand at 14 miles. We didn't complete the full plan, and it was still 16 miles. Ooof. 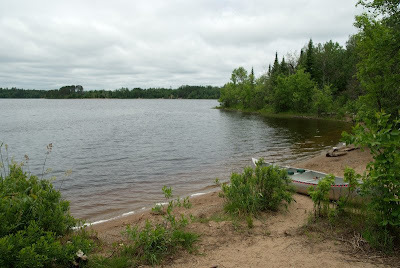 Portage beach at Fall Lake. 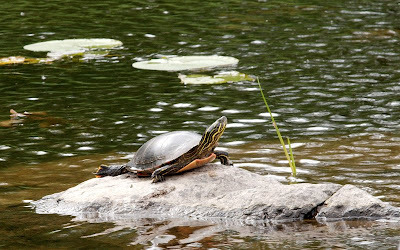 Two frog rocks taking, um, romantic liberties with one another. End of the line! We'd dragged the canoe through one rapids already, and the prospect of more shallow paddling and rapids did not seem appealing, particularly at 3:30pm. 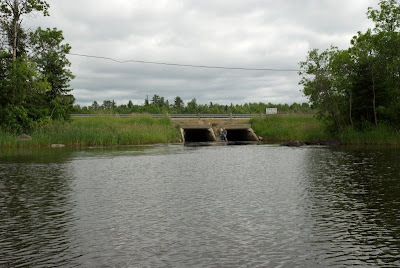 The paddle went under two pairs of culverts like this. Cool! Note the fisherman eyeing us. We'd just zoomed out from the culvert, thankfully missing any sharp fishhooks. Hmmm. 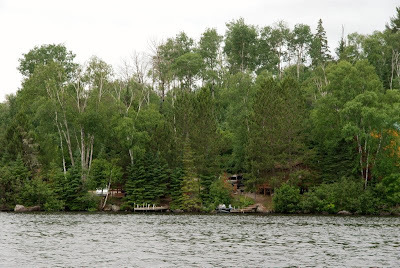 Our cabin, from the lake. You can see Erin's white Honda through the trees.